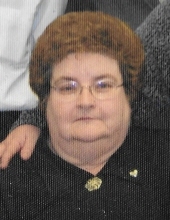 SALLIE A. NEWTON, (nee Breese); beloved wife of the late Larry G. Newton; loving mother of Curtis, Stanton (Julie), Larry James Newton & Ellen (Vollie) Pearson; dearest grandmother of Chrisa (Aaron) Carey, Angelia (Will) Knott, Rosa (Jason) Kintner, Antonio( Katelyn) Mendoza & Samantha (David) Turley; dear great-grandmother of Isabella, Hunter, Arreyanna & Phoenix Mendoza; Steven, Greysen, Anderson & Willow Carey; Lily Kintner; cherished daughter of the late Virginia (nee Fidler) & late Edward Breese; fond sister of Edward (Cynthia) Breese; also nieces & nephews. Sallie was the former president of the Archer Heights Credit Union in Chicago and a member of the Eastern Star. To send flowers or a remembrance gift to the family of Sallie A. Newton, please visit our Tribute Store. "Email Address" would like to share the life celebration of Sallie A. Newton. Click on the "link" to go to share a favorite memory or leave a condolence message for the family.